Let's be honest, Tristen probably isn't the most ferocious name you'll ever hear a dinosaur called, but we think that this one just wants to be cuddled. 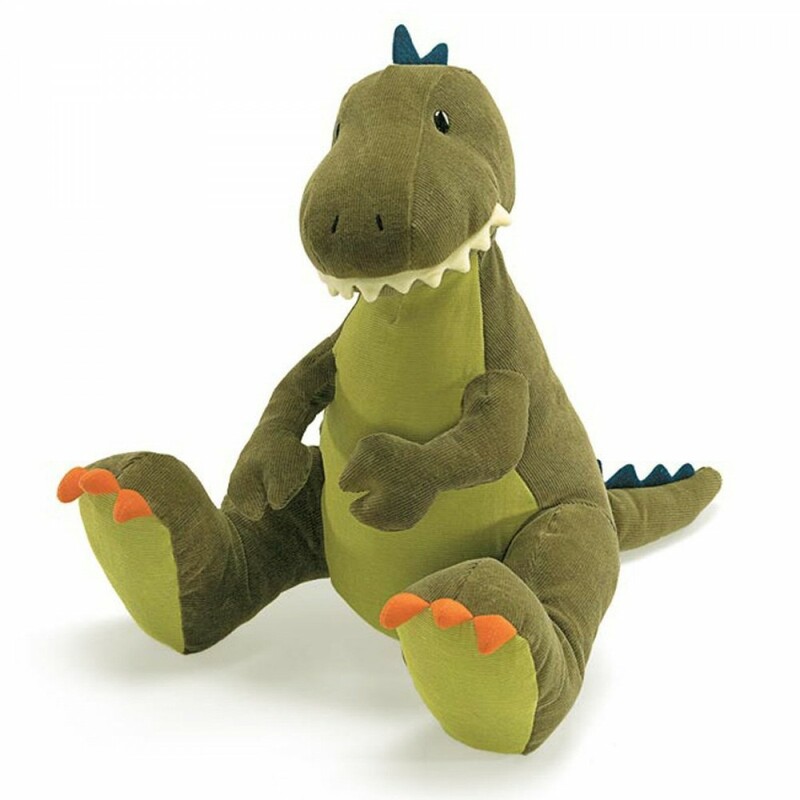 A beautifully made corduroy T-Rex from our friends at Gund, Tristen comes in two tones of green with striking blue scales on his back and very long tail. Super cute but still very much pulling off the King of the Dinosaurs thing, Tristen is sure to be a prehistoric companion your little Dino hunter will love! He's really well crafted by Gund, a company that have been making amazing soft toys in the States for over a century. The soft corduroy texture gives Tristan a really authentic dinosaur like feel. Super safe, totally non toxic, surface washable and suitable from a year up, Tristan makes a stunning gift.